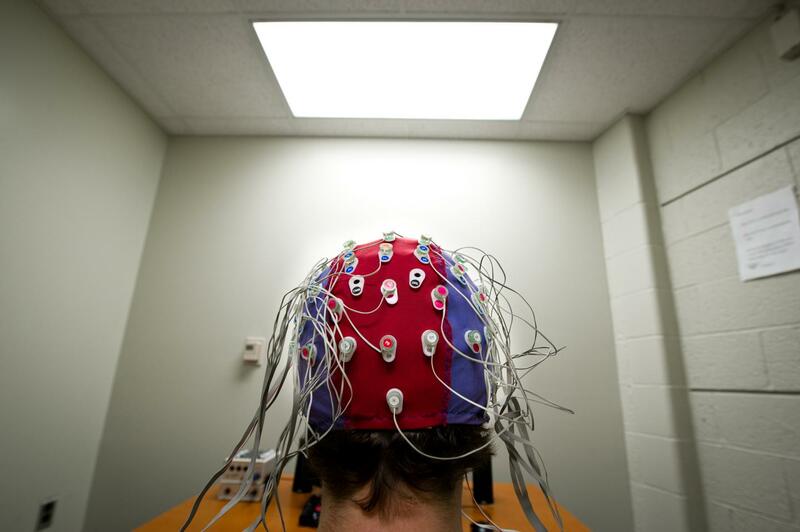 EAST LANSING, Mich. – Chronic worriers, take note: Simply writing about your feelings may help you perform an upcoming stressful task more efficiently, finds a Michigan State University study that measured participants' brain activity. The research, funded by the National Science Foundation and National Institutes of Health, provides the first neural evidence for the benefits of expressive writing, said lead author Hans Schroder, an MSU doctoral student in psychology and a clinical intern at Harvard Medical School's McLean Hospital. "Worrying takes up cognitive resources; it's kind of like people who struggle with worry are constantly multitasking — they are doing one task and trying to monitor and suppress their worries at the same time," Schroder said. "Our findings show that if you get these worries out of your head through expressive writing, those cognitive resources are freed up to work toward the task you're completing and you become more efficient." Schroder conducted the study at Michigan State with Jason Moser, associate professor of psychology and director of MSU's Clinical Psychophysiology Lab, and Tim Moran, a Spartan graduate who's now a research scientist at Emory University. The findings are published online in the journal Psychophysiology. For the study, college students identified as chronically anxious through a validated screening measure completed a computer-based "flanker task" that measured their response accuracy and reaction times. Before the task, about half of the participants wrote about their deepest thoughts and feelings about the upcoming task for eight minutes; the other half, in the control condition, wrote about what they did the day before. Moser uses a car analogy to describe the effect. "Here, worried college students who wrote about their worries were able to offload these worries and run more like a brand new Prius," he said, "whereas the worried students who didn't offload their worries ran more like a '74 Impala – guzzling more brain gas to achieve the same outcomes on the task." "Expressive writing makes the mind work less hard on upcoming stressful tasks, which is what worriers often get "burned out" over, their worried minds working harder and hotter," Moser said. "This technique takes the edge off their brains so they can perform the task with a 'cooler head.'"